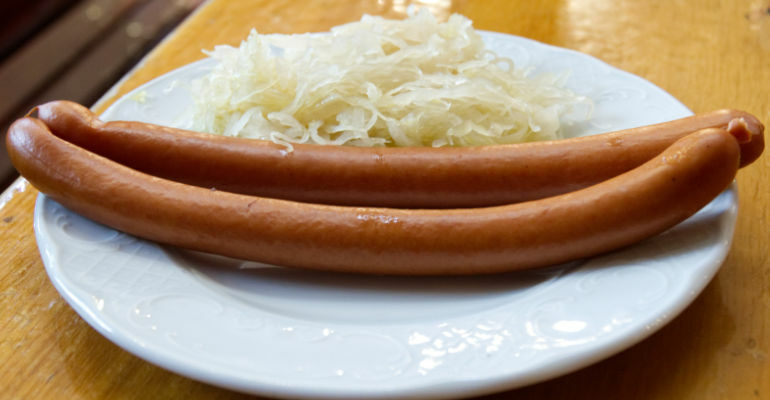 Apart from great beer, delicious bread and sauerkraut Germany is also known for its sausages. Every year every inhabitant eats 84 sausages on average. There are around 1500 different sausages here. In this post, I would like to show you the 5 German sausages I recommend you to eat in Frankfurt. Ahle Wurst is a hard pork sausage made in northern Hesse, Germany. Its name is a dialectal form of alte Wurst – “old sausage”. 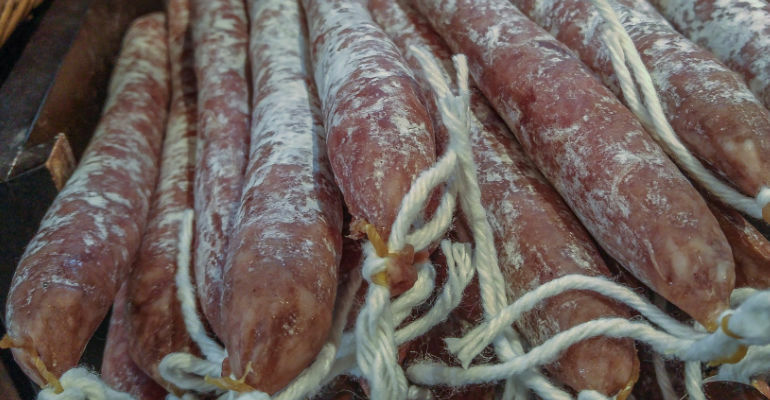 Ahle sausage is a sausage made of pork meat and bacon and its made air-dried. The older the sausage is – the harder it is and I personally prefer medium hard version! 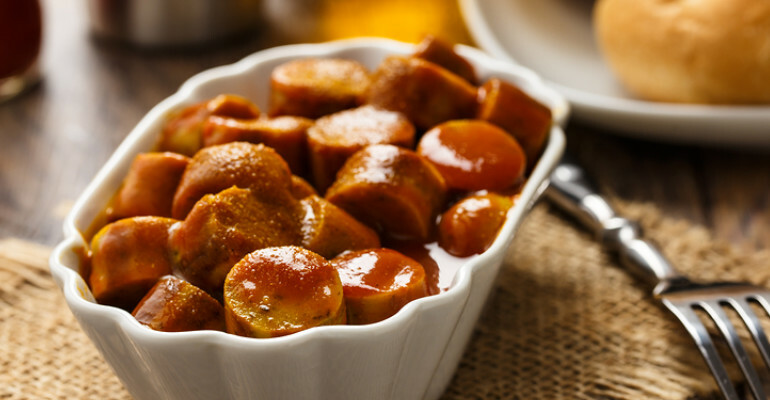 Currywurst is a fast food dish of German origin consisting of steamed, then fried pork sausage typically cut into slices and seasoned with curry ketchup or a normal ketchup topped with curry powder. Here in Frankfurt, you can also find “Currywurst” made of Rindswurst (sausage made of beef), if you are a fan of beef sausages! Currywurst was invented by Herta Heuwer in Berlin in 1949. 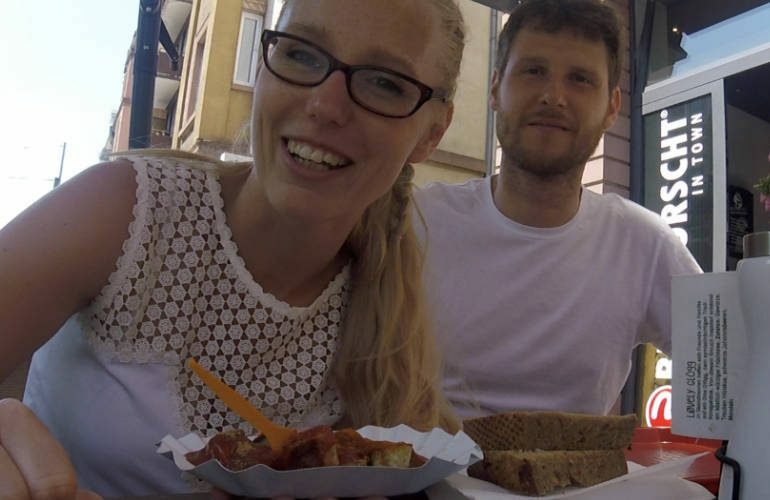 Apparently, she acquired ketchup and curry powder from British soldiers here in Germany. The dish was cheap, delicious and simple. She patented her sauce under the name “Chillup” in 1951. Frankfurt beef sausage is the most popular sausage Frankfurt. The first beef sausage was invented by Gref-Völsing who created a sausage for the Jewish population of the city. 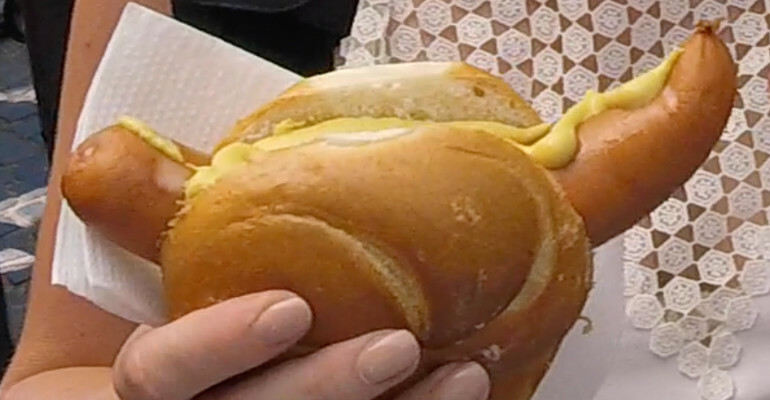 The sausage can be served boiled, broiled or grilled. 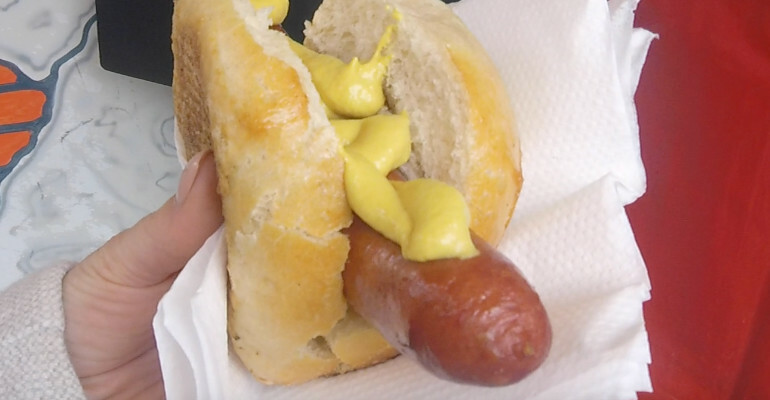 My favourite way to eat the sausage is grilled with some mustard in the bread roll! What a deliciousness! Frankfurt sausage is a pork parboiled sausage which is smoked in low temperature. They are not cooked just heated in warm, salty water. Traditionally they are served with bread, mustard and sauerkraut. Frankfurt Sausage is certainly not a normal boiled sausage that you probably know, therefore you need to try it on your trip to Frankfurt. Bockwurst is a German sausage traditionally from veal and pork. The sausage is smoked and it has to be cooked before serving. In Germany, you can find it almost at every petrol station! Usually is served with bread roll and mustard. Bockwurst was originally eaten with bock beer, but it is unsure if it comes from Berlin or Bavaria. Mettwurst is a strongly flavoured German sausage, made from raw minced pork. The pork it is preserved by curing and smoking. In Germany, you can also buy bread rolls serve with “mett” which is raw minced pork meat and it is something completely different!